Ideal for those short on space but big on style, the Brunel wall mirror landscape is designed by Rob Scarlett exclusively for Heal’s. 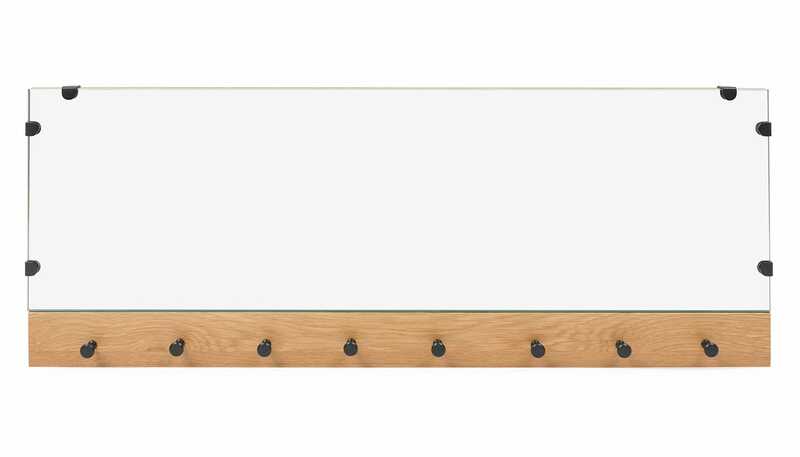 Mixing industrial and mid-century influences, this mirror pairs a solid American oak frame with eight black powder coated metal hooks. 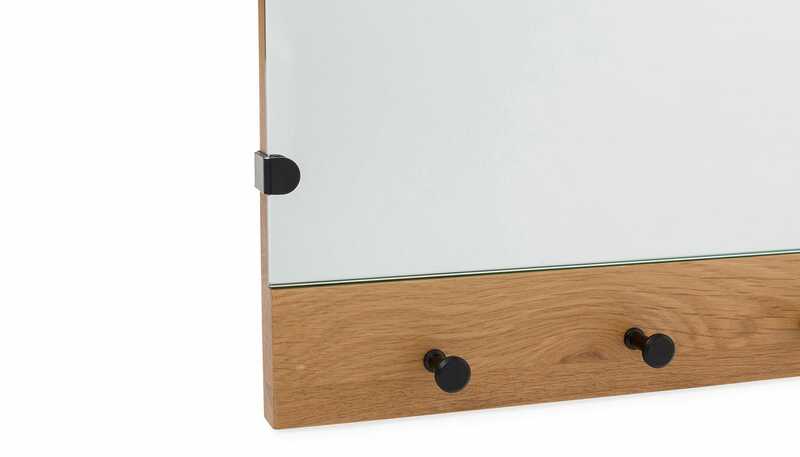 The mirror is wall mountable via keyhole fittings on the back (please note that wall plugs, screws and fixtures are not included). 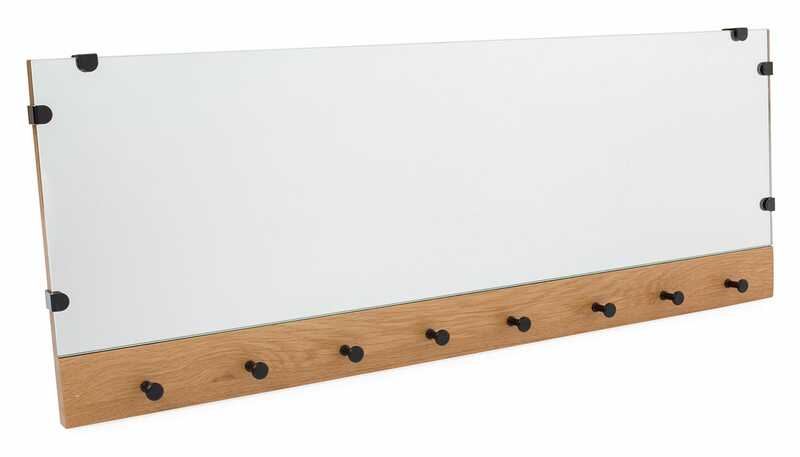 Part of our bestselling Brunel range, this piece is also available as a portrait or freestanding mirror.